Bulldozers running amok in Eden? That, essentially, is one of the key conclusions of a new landmark study of the Leuser Ecosystem in northern Sumatra, Indonesia — the last place on Earth where orangutans, tigers, elephants, and rhinos still survive together. The research, from an international team that includes several prominent ALERT scientists, raises just about every red flag imaginable. · The Leuser Ecosystem, which spans 2.6 million hectares, is much more severely fragmented and vulnerable than previously understood. 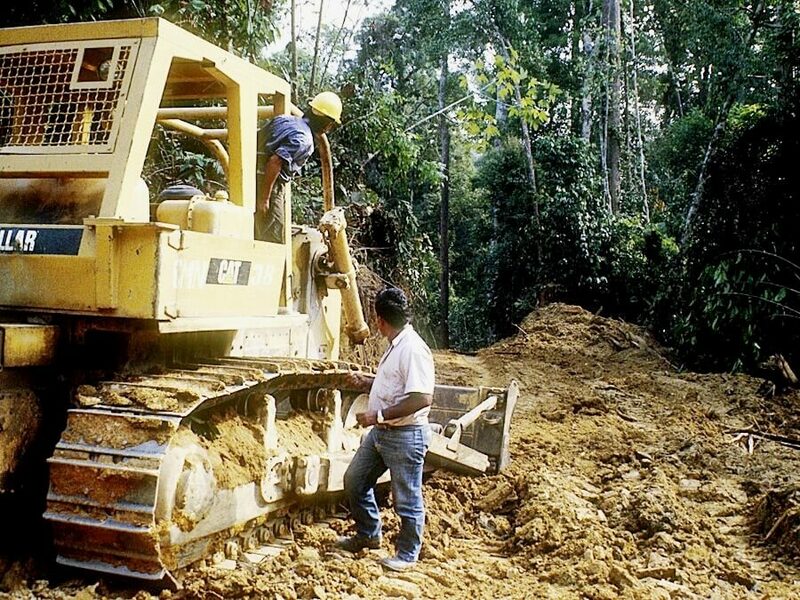 · Road building is by far the biggest threat to Leuser — opening a Pandora’s Box of threats, including illegal deforestation, logging, palm oil plantations, wildlife poaching, and haze-creating fires. 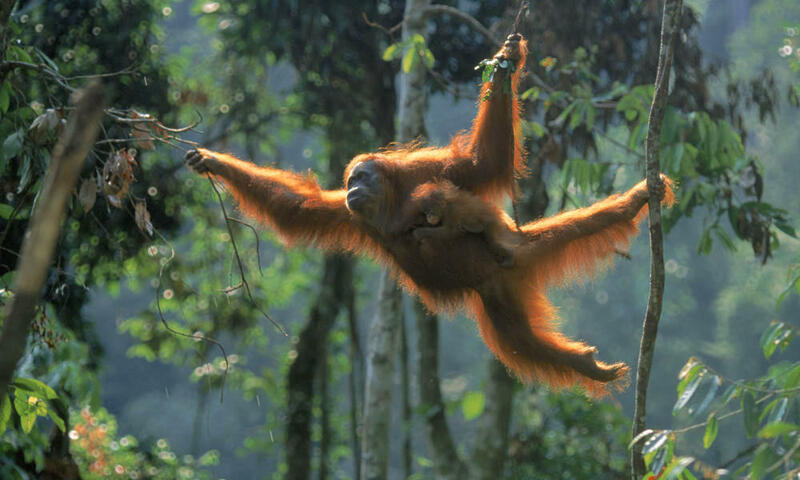 · Much road-building in the Leuser Ecosystem is ‘unofficial’ — a polite way of saying ‘illegal in most cases’. Remarkably, there are twice as many illegal than legal roads, collectively totaling about 10,400 kilometers in length. · Although parts of the Leuser Ecosystem are still intact and undisturbed, these blocks of intact forest rely crucially on “forest links” — vulnerable areas that must be urgently protected to limit further forest fragmentation. 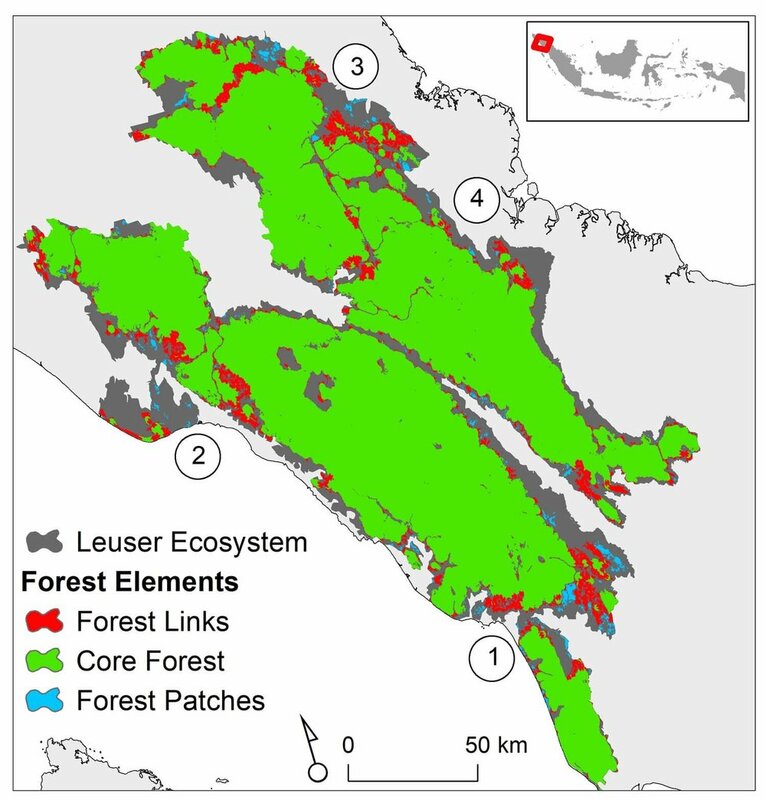 "Forest links" -- shown in red -- provide vital connections between major forest blocks of the Leuser Ecosystem. Areas numbered 1-4 are hot-spots of destructive road building. Officially, Indonesia’s federal government has designated the Leuser Ecosystem a “National Strategic Area” for environmental services. But these protective efforts were actively undermined — especially by the former government of Aceh Province, which contains most of the Leuser Ecosystem. 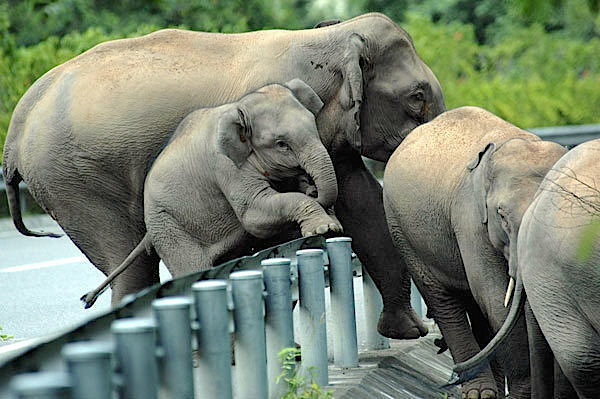 The previous government in Aceh planned to crisscross the Leuser Ecosystem with major new highways and energy projects — schemes detailed in its notorious “Aceh Spatial Plan”. 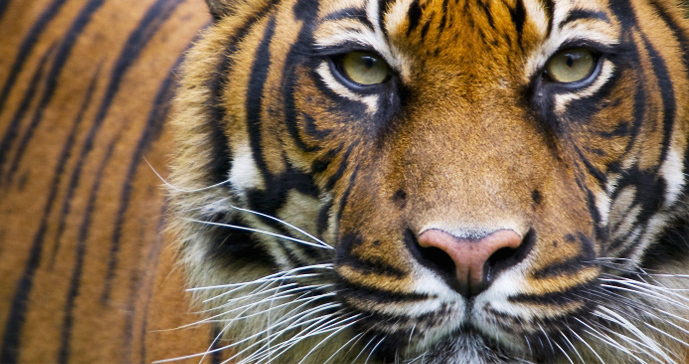 One project — which ALERT has labeled the “Highway of Death” — would slice the Leuser Ecosystem completely in half. 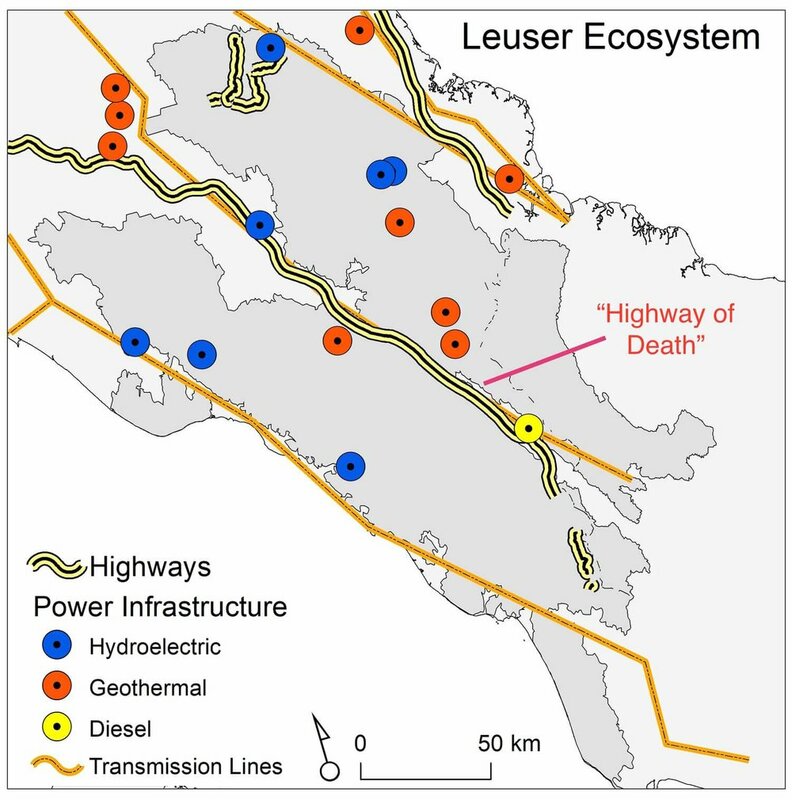 The planned highway and energy schemes that would devastate the Leuser Ecosystem. Equally alarming are a spate of new energy projects — mostly hydroelectric dams and geothermal projects — that would be located deep in the forest. Besides flooding or destroying forests, these energy projects would require networks of new roads for construction and maintenance — roads that would cut into the heart of the Leuser Ecosystem, opening it up to a range of serious human pressures. A bright new hope for the Leuser Ecosystem was the election last year of Irwandi Yusuf as Governor of Aceh Province. Governor Irwandi has been far more sympathetic to the plight of Leuser Ecosystem than his predecessor. Thanks to Governor Irwandi, most of the large highway and energy schemes ready to devastate the Leuser Ecosystem are on hold. But Irwandi needs our voices and support (see here, here, and here for urgent issues where you can help) to keep these projects and their powerful foreign and domestic proponents at bay. And government authorities and conservationists struggling alongside him to protect the Leuser Ecosystem are stretched desperately thin. Illegal activities are rampant. Most of all, far too little attention is being paid to the devastating one-two punch of new roads and fragmentation. Eden can’t survive if it is sliced and diced into small pieces. 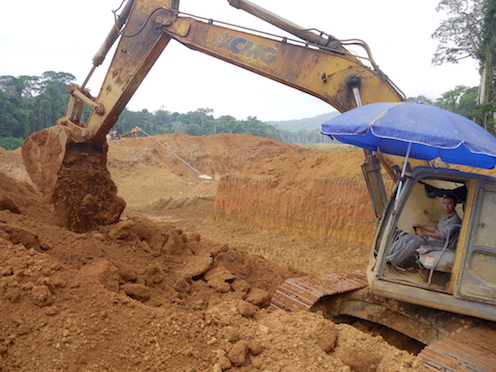 The only way to save Leuser is to silence the roaring bulldozers. Will Fast-Tracked Projects Shatter Asia’s ‘Jewel of Nature’? Being a conservationist means sleeping with one eye open. That’s because development pressures never cease—even for the planet’s most critical ecosystems. For example, ALERT recently reported good news for the Leuser Ecosystem in northern Sumatra, Indonesia—a renowned World Heritage Area and the last place on Earth where tigers, orangutans, elephants, and rhinos still survive together. Irwandi Yusuf, the governor-elect for Aceh Province in Sumatra, said he would personally halt a major geothermal plant proposed by a Turkish corporation that would be constructed right in the heart of the Leuser wilderness. But wait—that battle isn’t won yet. Behind the scenes, the Turkish firm is now pressing the Indonesian government to fast-track the project, before Irwandi becomes governor. Many Indonesians are aghast. Last week a consortium of nongovernmental groups implored the UNESCO World Heritage Commission to intervene urgently, to stop the threat. 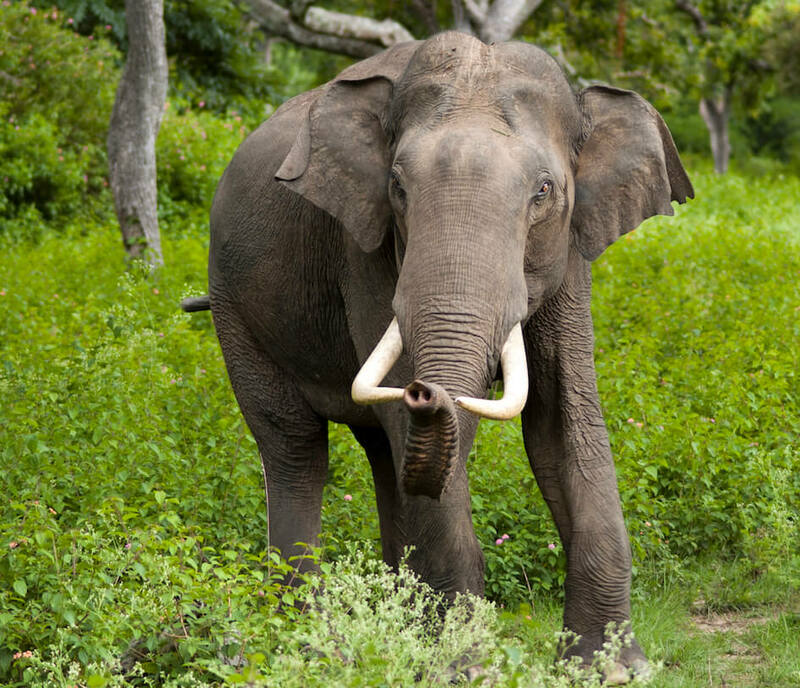 The Turkish geothermal plant isn’t the only danger to Leuser—several big hydropower projects are being proposed and other developments too. These projects could shatter the Leuser wilderness, slicing up large expanses of the forest with powerlines and roads. 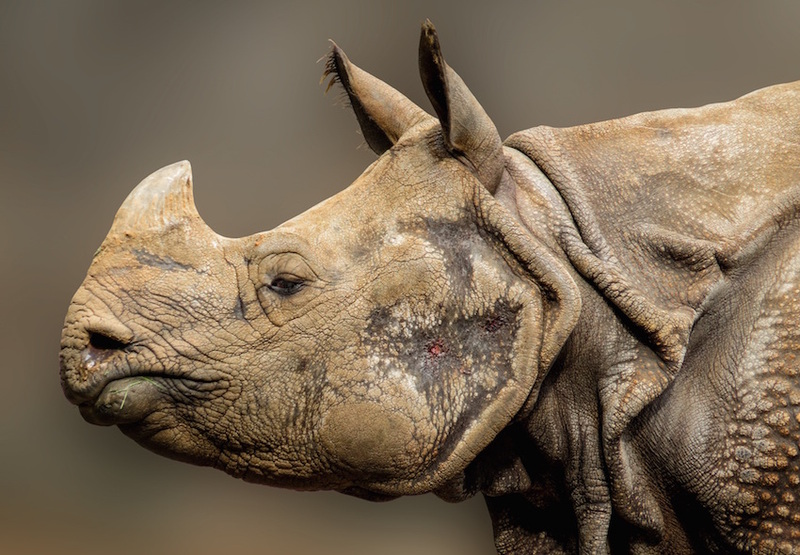 The roads would open a Pandora’s box of perils—bringing poachers armed with snares and rifles to hunt rare wildlife. 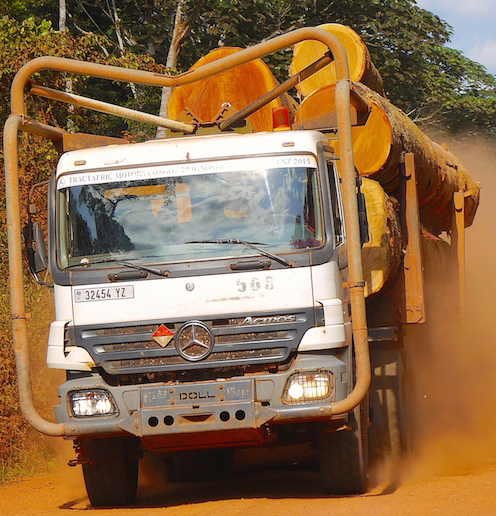 The roads would also bring illegal miners, loggers, and encroachers that bulldoze, burn, and fragment the forest. And as the forest is stripped away, streams are polluted and destructive flooding increases downstream for villages and farmers. Indonesia’s Minister for Environment and Forestry, Dr Siti Nurbaya, has previously fought for the Leuser Ecosystem, and visited Aceh last year to publicly declare a moratorium on new oil palm and mining leases in Leuser. Minister Siti has also been active in opposing actions that defy environmental laws laid down by Indonesian President Joko Widodo—laws to combat illegal wildfires, mining, and other threats while reducing the noxious haze that has chronically blanketed much of Southeast Asia. But now it’s decision time. On the one hand, Indonesia needs social and economic development—no one disputes that. But on the other hand, the Leuser Ecosystem is unique—arguably Indonesia’s most important protected area, a key tourist attraction and an international icon. Will Minister Siti and President Widodo battle again for Leuser? It won’t be easy. Powerful forces are in play—big corporations driving to exploit the forest immediately and irrevocably. On the back of such decisions, global reputations can be forged and national prestige won or lost. Whatever happens, lots of Indonesians and many other people around the world will be keenly watching—with one eye open even while we sleep. It’s always easy to look at a glass and say it’s half-empty rather than half-full. President Jokowi’s choice for Minister of Environment and Forestry, Dr Siti Nurbaya, appears to be a particularly good appointment. 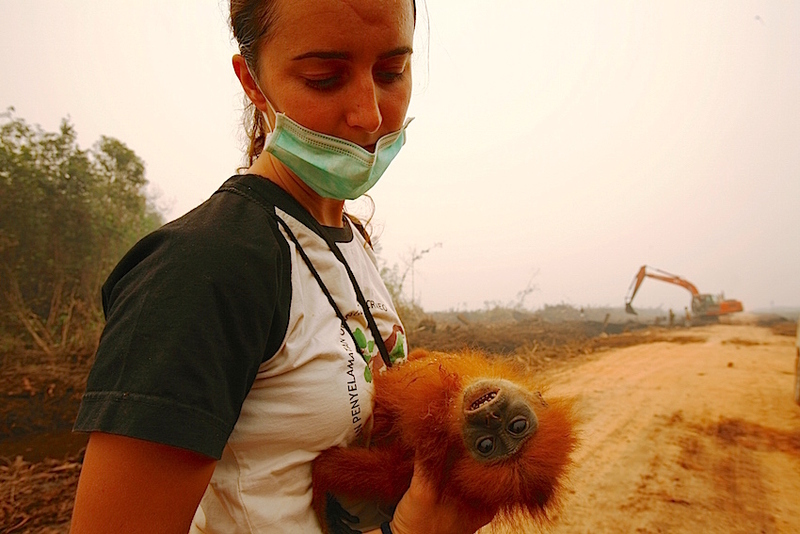 Dr Siti has been active on many fronts—including cracking down on illegal peat-land destruction, wildfires, and wildlife poaching, and urging protection of the critical Greater Leuser Ecosystem in Sumatra—the last place on Earth where orangutans, tigers, elephants, and rhinos still coexist. Impressively, President Jokowi has also pledged a moratorium on new oil palm and mining concessions in forested areas across Indonesia. 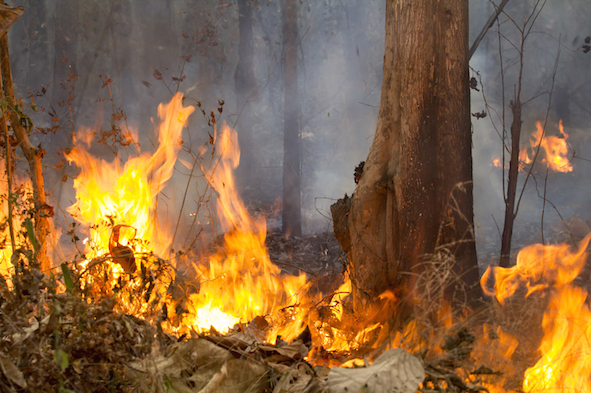 And he’s been especially active in combating the menace of forest and peat fires that have blanketed parts of Southeast Asia in a dense, unhealthy haze. Furthermore, as bannered by ALERT two weeks ago, the leaders of Papua Province—which spans four-tenths of the sprawling island of New Guinea—have pledged to protect at least 83 percent, and possibly up to 90 percent, of its land area for conservation. This high-profile commitment moves Papua Province into the spotlight as a global conservation leader. The adjoining Province of West Papua is also pushing its green credentials, and wants to be known as a “conservation province”. And possibly the best news of all: In northern Sumatra, Irwandi Yusuf was just re-elected as Governor of Aceh Province. Irwandi has an excellent reputation. Among his first promises on being re-elected is that a controversial geothermal plant and associated road network—which would have carved into the heart of the Leuser Ecosystem—will be cancelled. Civil-society organizations are holding great hopes that Irwandi will promote sustainable development pathways in Aceh while standing tall for the Greater Leuser Ecosystem. Of course, it’s not all good news in Indonesia. For instance, as reported this week by ForestHints.News, ANJT, a major company listed on the Indonesian stock exchange, is clearing a vast expanse of old-growth rainforest for oil palm plantations in West Papua Province. The area of forest to be felled is three-quarters the size of the nation of Singapore. Beyond this, huge expanses of native forest are still in active oil palm, mining, woodpulp, and logging concessions in Indonesia, some located in environmentally critical areas such as the Leuser Ecosystem. And many protected areas in Indonesian are suffering seriously from illegal encroachment and poaching. But on balance, one has to look at the scorecard and say the past several months have been pretty positive for Indonesia—significant accomplishments given the nation’s pressing economic and social needs. Credit is due to Indonesia and its leaders for tackling some of its most important environmental challenges. At the moment, the glass is looking half-full. In Indonesia, local environmental groups are beside themselves, appalled at a proposed energy project that would tear the heart out of the world-famous Tropical Rainforest Heritage of Sumatra -- a World Heritage Site and the last place on Earth where tigers, rhinos, elephants, and orangutans still live together. In northern Sumatra, a consortium of local environmental groups has just issued a press release calling on Indonesia’s Ministry of Forestry and Environment to immediately reject the scheme. A Turkish Corporation, Hitay Holdings, proposes to develop a major geothermal plant in the core of the World Heritage site, along with roads and other infrastructure needed for the project. In the past such roads and developments have led to major increases in deforestation and illegal poaching, mining, and logging. The consortium has decried a rapid environmental assessment that involved only quick and superficial visits to the site. 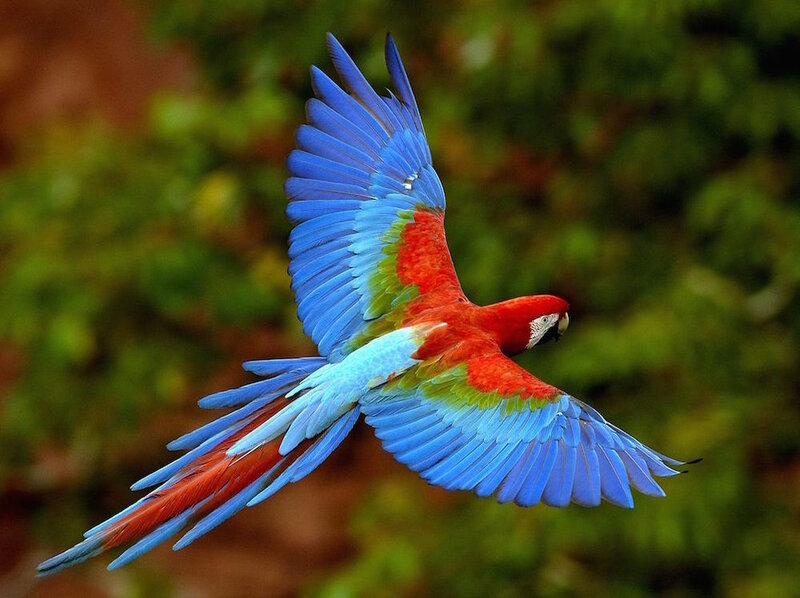 The assessment was funded by the Turkish corporation promoting the project, which alone makes the findings highly questionable, the conservationists say. Beyond this, scientists and conservationists have identified gaping holes and inconsistencies in the report, which is generally supportive of the geothermal project. These problems have been described both in the press release and in a detailed report to the Indonesian Forestry and Environment Minister, the Honorable Siti Nurbaya. The proposed development site sits right in the heart of Gunung Leuser National Park, and is designated as a critical "Core Area" of the park. The Turkish Corporation wants to rezone this core area -- which spans around 8,000 hectares in the Kappi Plateau region -- as a multiple-use site, to permit its project and other developments to proceed. The Kappi Plateau region, say wildlife researchers, is a critical movement corridor and habitat connecting the eastern and western forests of Gunung Leuser National Park. 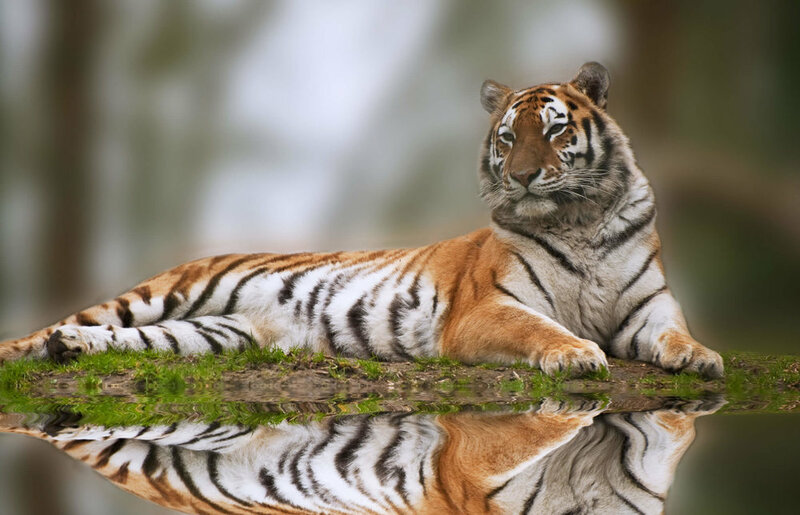 As such, it is essential habitat for movement and reproduction by a host of endangered wildlife, including iconic species such as the Sumatran tiger, rhinoceros, elephant, and orangutan. 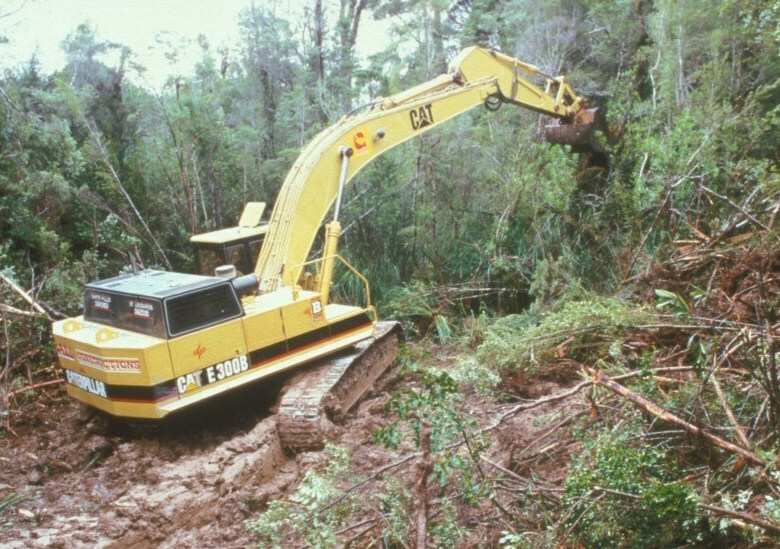 Critical habitat for rainforest wildlife. Panut Hadisiswoyo, Director of the Orangutan Information Centre in Sumatra, said, "We are confused and extremely concerned." Conservationists argue that there are at least 14 other viable locations for geothermal projects in the region. Most of these are much closer to population centers in northern Sumatra, and hence are far more suitable for development. 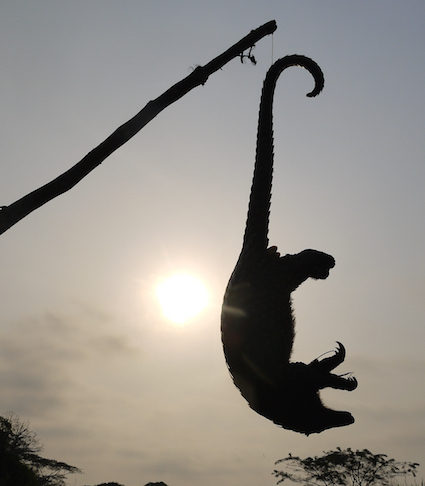 Conservation is a never-ending battle, and wealthy corporations can hold enormous sway in developing nations. But Sumatran conservationists say this is no time to lose heart in the fight to protect one of the most iconic ecosystems on Earth. To celebrate a another important milestone for ALERT -- we are now reaching up to half a million readers each week -- we are going to do something a bit different. The fate of the iconic Leuser Ecosystem -- the last place on Earth where Tigers, Orangutans, Rhinos, and Elephants still coexist, along with myriad other wild species -- could be decided this week. On Tuesday (Nov. 8), Indonesian judges will deliver their verdict on a major lawsuit against the much-criticized Aceh Spatial Plan, a scheme that would see much of the Leuser region in northern Sumatra environmentally devastated. In more than a dozen blogs and press releases, ALERT has supported the lawsuit -- known as GeRAM, the Aceh Citizen Lawsuit Movement -- as well as other initiatives to save the Leuser Ecosystem (for example, see here, here, and here). To date, over 73,000 people from Aceh, Indonesia, and around the world have signed this Change.Org Petition to support the lawsuit. Please take a few seconds to sign it too! GeRAM is urging the judges presiding over the case to deliver a fair verdict for Leuser. The Coalition is arguing that the Aceh government has ignored the tremendous conservation significance and vital ecosystem services of Leuser in its spatial plan. Such ecosystem services include reducing destructive floods and landslides, limiting erosion, storing carbon, and providing clean water supplies to villages and farmers in the region. There is great fear that, without adequate protection, Leuser could soon resemble the tragic Tesso Nilo National Park in central Sumatra, which is being devastated by fires, oil palm expansion, poaching, and uncontrolled encroachment. In a press event in Indonesia last week, GeRAM representatives highlighted the crucial nature of the court's ruling this week -- while releasing this excellent video. The world will be watching on Tuesday and hoping for a verdict in favor of those battling to save one of the world's most important natural wonders.